Even though the positive effects of whey protein-containing supplements for optimizing the anabolic responses and adaptations process in resistance-trained individuals have been supported by several investigations, their use continues to be controversial. Additionally, the administration of different multi-ingredient formulations where whey proteins are combined with carbohydrates, other protein sources, creatine, and amino acids or derivatives, has been extensively proposed as an effective strategy to maximize strength and muscle mass gains in athletes. 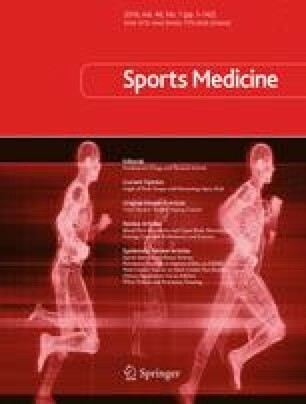 We aimed to systematically summarize and quantify whether whey protein-containing supplements, administered alone or as a part of a multi-ingredient, could improve the effects of resistance training on fat-free mass or lean body mass, and strength in resistance-trained individuals when compared with other iso-energetic supplements containing carbohydrates or other sources of proteins. A structured literature search was conducted on PubMed, Science Direct, Web of Science, Cochrane Libraries, US National Institutes of Health clinicaltrials.gov, SPORTDiscus, and Google Scholar databases. Main inclusion criteria comprised randomized controlled trial study design, adults (aged 18 years and over), resistance-trained individuals, interventions (a resistance training program for a period of 6 weeks or longer, combined with whey protein supplementation administered alone or as a part of a multi-ingredient), and a calorie equivalent contrast supplement from carbohydrates or other non-whey protein sources. Continuous data on fat-free mass and lean body mass, and maximal strength were pooled using a random-effects model. Data from nine randomized controlled trials were included, involving 11 treatments and 192 participants. Overall, with respect to the ingestion of contrast supplements, whey protein supplementation, administered alone or as part of a multi-ingredient, in combination with resistance training, was associated with small extra gains in fat-free mass or lean body mass, resulting in an effect size of g = 0.301, 95 % confidence interval (CI) 0.032–0.571. Subgroup analyses showed less clear positive trends resulting in small to moderate effect size g = 0.217 (95 % CI −0.113 to 0.547) and g = 0.468 (95 % CI 0.003–0.934) in favor of whey and multi-ingredient, respectively. Additionally, a positive overall extra effect was also observed to maximize lower (g = 0.316, 95 % CI 0.045–0.588) and upper body maximal strength (g = 0.458, 95 % CI 0.161–0.755). Subgroup analyses showed smaller superiority to maximize strength gains with respect to the contrast groups for lower body (whey protein: g = 0.343, 95 % CI −0.016 to 0.702, multi-ingredient: g = 0.281, 95 % CI −0.135 to 0.697) while in the upper body, multi-ingredient (g = 0.612, 95 % CI 0.157–1.068) seemed to produce more clear effects than whey protein alone (g = 0.343, 95 % CI −0.048 to 0.735). Studies involving interventions of more than 6 weeks on resistance-training individuals are scarce and account for a small number of participants. Furthermore, no studies with an intervention longer than 12 weeks have been found. The variation regarding the supplementation protocol, namely the different doses criteria or timing of ingestion also add some concerns to the studies comparison. Whey protein alone or as a part of a multi-ingredient appears to maximize lean body mass or fat-free mass gain, as well as upper and lower body strength improvement with respect to the ingestion of an iso-energetic equivalent carbohydrate or non-whey protein supplement in resistance-training individuals. This enhancement effect seems to be more evident when whey proteins are consumed within a multi-ingredient containing creatine. The online version of this article (doi: 10.1007/s40279-015-0403-y) contains supplementary material, which is available to authorized users. The authors thank Alyssa Sherry from the Clinical Research Institute of Texas Tech University HSC and Dr. Bettina Karsten from the Centre for Sport Science and Human Performance, University of Greenwich for grammar review and editing of the manuscript. GlaxoSmithKline-Maxinutrition and the University of Greenwich provided joint funding for the development of research projects on the effectiveness of nutritional supplements. This funding was used to help in the preparation of this review but did not affect its purpose or content. Fernando Naclerio and Eneko Larumbe-Zabala declare that they have no conflicts of interest relevant to the content of this review.